Travellers at the sanctuary of the Pilgrim/photograph by Mónica Irago. The origin of Pontevedra is linked to its strategic location, both in terms of the first Roman roads and later to the medieval route of the Portuguese Camino to Santiago. Pontevedra had its heyday during the XV and XVI centuries, thanks to its port and Sardine fishing, when it became the largest population in Galicia. In 1833 it was declared a provincial capital. 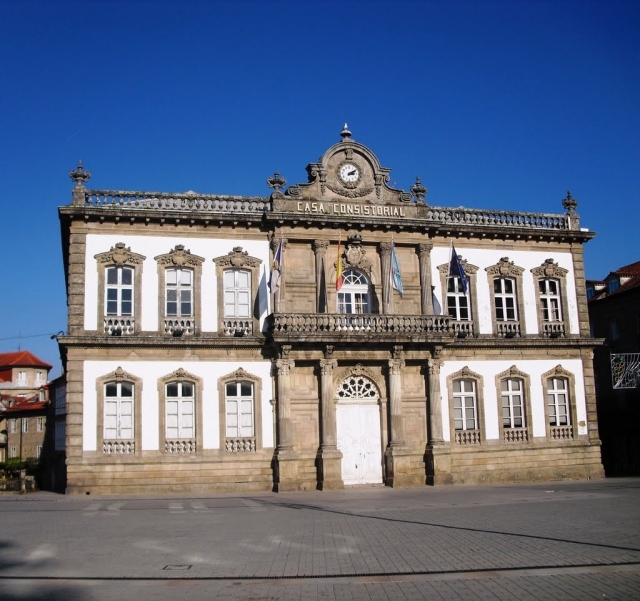 Nowadays Pontevedra is best known for its remarkably well-kept historic centre, declared of historic and artistic importance in 1951. The city is full of interesting places to visit and is famed for its lively shopping and nightlife. If visitors have time they should visit Illa das Esculturas, on the promenade of the River Lerez and the Monastery of San Xoán Poyo. If you are traveling on the Camino de Santiago or are planning to do so soon, you should know that the distance separating Pontevedra from Santiago de Compostela is 65 kilometers.